Spring has officially arrived, bringing warmer temperatures and the opening of the 2019 recreation season on area lakes. The U.S. Army Corps of Engineers announces eight area parks will open Monday on Norfork and Bull Shoals lakes. Four parks, Cranfield, Quarry, Gamaliel and Robinson Point, will open on Norfork Lake. In addition, Beaver Creek, Highway 125, Lakeview and Lead Hill parks will open on Bull Shoals Lake. The remaining seven parks will open May 1st. 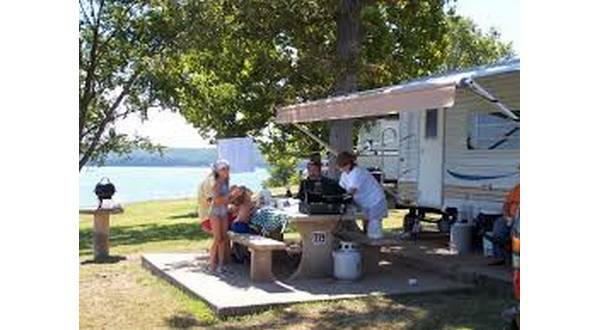 These parks include Bidwell Point and Henderson on Norfork Lake and Buck Creek, Oakland, River Run, Theodosia, and Tucker Hollow on Bull Shoals Lake. There are many campsites available on a first come, first served basis. However, the majority must be reserved in advance. Reservations may be made by calling 877-444-6777 or visiting www.recreation.gov Corps reservations. Campsites range from $14 - $22 per night depending on the amenities available. The Annual Day Use Pass, which grants free access to all Corps-managed day-use facilities in the nation, may be purchased for $40 and is valid for one year from the date of purchase. Visitors with America the Beautiful Annual Senior, Lifetime Senior, and Access passes receive a 50 percent discount on camping and free day-use, when presented or properly displayed. The Mountain Home Project Office staff is hoping for a safe and enjoyable recreation season at Norfork and Bull Shoals lakes. The Corps urges those on the water to remember to wear lifejackets when swimming and boating and ensure kill switches are properly secured to the boat operator when the vessel is under power. For more information, contact Dylan Edwards, chief ranger at 501-340-1431 or click here for Lake Norfork or Bull Shoals Lake.